Standing up for your quarterback is a time-honored tradition in the NFL. However, in some cases, standing up for your quarterback can result in you ending up flat on your back. 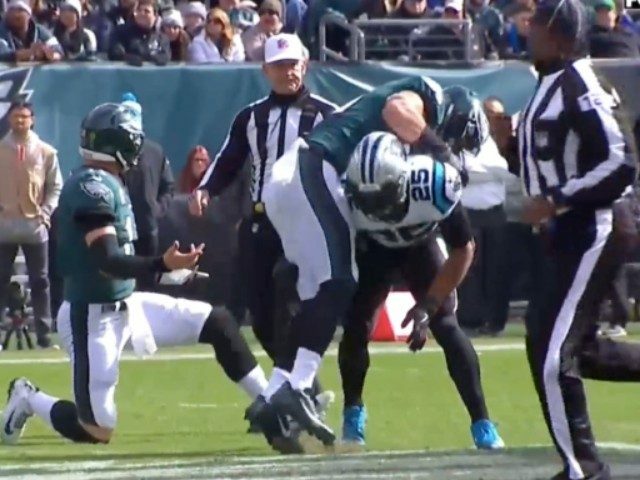 On Sunday, Eagles tight end Zach Ertz decided to physically retaliate against Panthers safety Eric Reid, after the Carolina defender threw Eagles quarterback Carson Wentz to the ground.